Lake Michigamme Cabin, Your Home Away from Home! 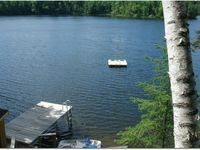 Property 2: Lake Michigamme Cabin, Your Home Away from Home! REPUBLIC ISLAND (private island) Fisherman's dream! Private island w/ cable tv, wifi, pets welcome! Property 6: REPUBLIC ISLAND (private island) Fisherman's dream! Private island w/ cable tv, wifi, pets welcome! Snowmobile and mtb bike right out the door! Plenty of parking. Quiet place. 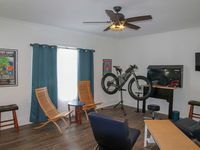 Property 16: Snowmobile and mtb bike right out the door! Plenty of parking. Quiet place. This is a nice, clean, quiet downstairs apartment set off on a calm side street. While the upstairs is occupied you would hardly know it, it is so quiet. Great location to walk to downtown places. Under ten minutes walk to Cognition Brewing, Congress Pizza, Venice Pizza, Buck's Restaurant and downtown shops. Very well stocked with just about anything you will need with plenty of towels, soaps, kitchen supplies and more. If you are Mtn. biker there is a bike repair station in the living room. If you aren't a biker, no worries it just takes up a small space. Close to bike trail access and bikers will find trail maps, biking contacts and a schedule of group rides for every day of the week. While this is set up to anticipate biker needs and use, it is still a nice, clean place for anyone looking for a quiet spot in downtown. Great spot for two to four visitors.